Good morning Divas, I am looking for some suggestions. My 14year old daughter is finally willing to give up her Volkl RTM Jr 140s (109/69/88) for a more advanced ski. She is 5'3", 100 lb, skis mainly blues and likes speed. I suggested the Yumi but she is anti-pink. She would also like a ski that handles spring slush better. Would love hear your thoughts on particular skis we should check out? We mainly ski east coast. Still growing, or done growing? In other words just the next step up, but will be replaced in a year or two, and maybe still a teen ski, or hopefully this is the last ski I will be buying for her? Also, unless you are skiing Killington until they close, we certainly get more hard pack days than spring slush days in New England. For a one ski quiver, I would choose a ski that leans more towards hard pack than spring slush. I'm petite, a few inches shorter and a few pounds heavier than your teen. Have been quite happy with the Head Absolut Joy, 78 underfoot, 148cm, for mid-Altantic and northeast skiing the last few years. I demo'd and liked the AJs at 154cm but opted to buy shorter and have no regrets. The Super Joy is narrower and better for high speed carving, but would be less versatile for spring skiing. Seem to be some good deals online on the AJs right now. The Volkl Kama might work, but the shortest length is 154cm. Blue tip and black. Yes, agree that hardback conditions will be the majority of time. But would like a ski that can get through slush OK when needed. I assume she could grow another inch, so we expect her to use this ski for more than a couple of years; get her through high school. My now 17 year old switched to adult skis three years ago and is also 5'3" but heavier. She had been skiing a youth Rossignol Scratch Pro, 148 cm. She prefers twin tips and I narrowed it down to the teen Armada ARW 84, 156 cm and the adult K2 Missconduct, 159 cm. She chose the Missconduct. I was a little worried about the jump in length, but she loves them. She likes them equally for both hard pack and slush. Her skiing style is more of a relaxed smear than a carve, and preferred terrain is mostly blues. I've skied my AJs in very soft snow. Not the best but works well enough with the proper warm weather wax. Since I plan to keep them for more than a few years, I invested in DPS Phantom and treated them in Jan 2018. Skied them in May on the west coast, and recently at Wachusett when it was in the 40s. I was going to say the Yumis, which my teen loves so much we just bought a pair of the 161 length to replace her 154s, but there is the pink thing. She skis them even on double black off piste runs, and they carve better than my black pearls. I would go for the Volkl Kama, which is the same as the original Yumi before they added the titanal metal band, which your teen probably doesn’t need. 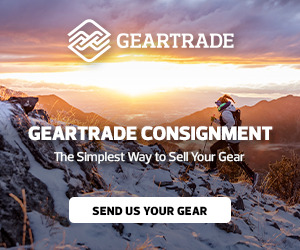 Gearx has them on sale for 299 and free binding mount.